A musician since the age of 5, Logan picked up his first instrument, guitar, with fervor and determination. After working his way through numerous other instruments, such as the trumpet and violin, he finally settled on the drums at the young age of 9. With formal training through the years, Logan has studied under such teachers and artists as Thomas Lang, Chris Coleman, Fred Klatz, Frank Bellucci, Peter Retzlaff, Vince Cherico, Mark Flynn, Frank Katz, Pat Patrillo, Jason Gianni, Alan Zurcher, Helen Bauer and others. 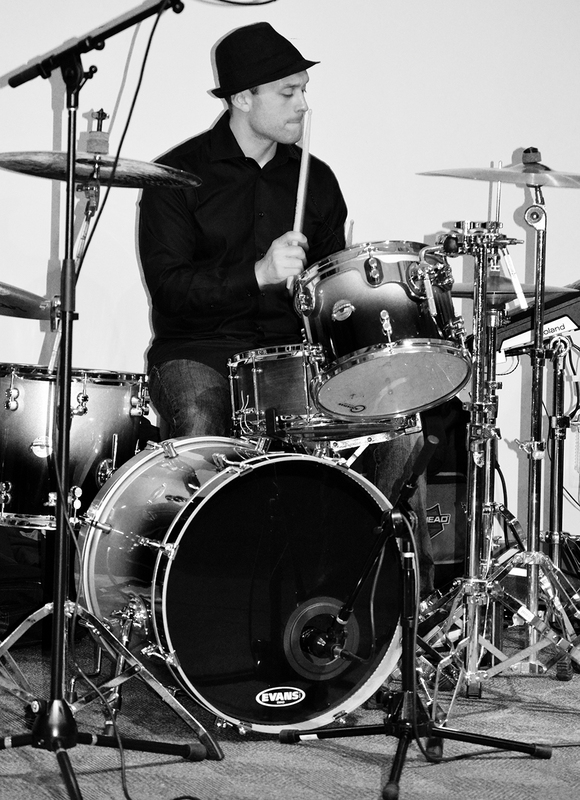 Multi faceted, Logan is capable of playing such styles as rock, jazz, funk, metal, big band, R&B, afro-cuban, and more. A graduate of the Drummers Collective, Logan is also an educational endorser for Vic Firth, as well as an Aquarian artist, and an Ahead Armor Cases artist, drumsticks and accessories artist. He is currently a faculty member of the School of Music & Art. Whether you need a touring drummer, a sub for a gig, someone to accommodate your studio or session needs, or are interested in taking lessons, Logan is available for all of your drumming needs.